PARIS—The landmark agreement struck by more than 190 nations in Paris introduces a new international approach to limiting climate change, with all countries rather than just developed industrial nations joining in to pledge to curb their greenhouse-gas emissions. But whether the deal reaches its goal—all but eliminating fossil fuels and carbon-emitting economic activity in the second half of the century—still depends almost entirely on domestic will within each individual country to overhaul how energy is produced and consumed and transform the way its economy works. That is because the core of the deal is a collection of voluntary plans by each country to address climate change within the context of its own domestic economic and political situations. Those plans aren’t legally enforceable—a condition some countries including the U.S. insisted upon—although the deal did legally bind countries to develop a common set of reporting standards and a review process to strengthen efforts to reduce greenhouse-gas emissions over time. For developed countries, success will require not only actually reducing greenhouse-gas emissions starting very soon, but also channeling more than $ 100 billion annually to poorer, developing nations to help finance their efforts. Those poorer countries in turn will need to find ways to grow their economies and lift hundreds of millions of people into the modern middle class, while at the same time limiting and then ultimately slashing carbon emissions associated with fossil fuels that have driven such growth elsewhere for well over a century. To work, the deal will also have to unleash trillions of dollars from private investors, companies and multilateral lenders. Those investments would go into energy sources such as solar, wind and nuclear that don’t create carbon emissions, new technologies such as better batteries for electric cars, ways to capture and store the emissions of carbon, increases in the energy efficiency of buildings and growing more trees and vegetation to absorb carbon from the atmosphere. Some believe the voluntary nature of the agreement could actually spur private investments more effectively than an enforceable one. To them, that arrangement signals governments aren’t being pressed into what are some of their most ambitious plans to date—and therefore are more likely to make good on them and encourage private investors and businesses to help. The focus on voluntary efforts was at the heart of the negotiations from the beginning of the two weeks during which hundreds of diplomats gathered in a conference center in a suburb of Paris. They were surrounded by tens of thousands of observers, from labor activists and environmental groups to representatives of business and media organizations. The last major gathering to forge a climate agreement, held in Copenhagen, Denmark in 2009, focused on getting developed countries to legally bind themselves to reducing emissions. The meeting collapsed at the final hour into recriminations and finger-pointing. It had little lasting impact, and countries backtracked on pledges and ignored the accord. The Kyoto Protocol of 1997 helped spur carbon emissions among signatories, particularly in Europe. But the U.S. and some of the fastest-growing developing economies never signed on, limiting its effectiveness and, eventually, its relevance. Much of the time spent since Copenhagen has been devoted to building the new approach endorsed in Paris. Meanwhile, several countries—most prominently the U.S.—firmly ruled out from the beginning of the Paris meeting any plan that made emissions cutting legally binding under international law. That reflected a deep division in Washington between the Obama administration’s support for strong climate-change policies and Republicans and some Democrats in Congress, who have staunchly opposed them as economically damaging intrusions by the government into free markets. All of the Republican candidates running for president say they oppose international requirements to cut greenhouse gasses, while several have expressed deep skepticism about whether climate change is occurring or being caused by human activity. “You have to take American politics into account because of their awkward political situation,” said Nozipho Mxakato-Diseko, the South African diplomat who leads the Group of 77, which represents more than 100 developing nations in the climate talks. But fears that the U.S. won’t live up to its end of the deal, particularly if a Republican wins the White House, trouble officials in Ms. Mxakato-Diseko’s negotiating group. “You cannot bank on the Americans to follow through,” she said. Even supporters of the deal say each country’s voluntary plan will need to be strengthened over time in order to reach the accord’s goal. That is why they cheered the periodic reviews, reporting and transparency criteria and obligations to try to ramp up the emissions cuts that the deal made legally binding. —Matthew Dalton contributed to this article. Canberra women’s refuges have called on state and territory leaders to restore and increase funding to domestic violence solutions to cease migrant women and people from outside the house the ACT slipping by way of the cracks. The Federal Government is under strain to restore funding to domestic violence solutions ahead of following week’s Mid-Calendar year Financial and Fiscal Outlook (MYEFO). Domestic violence was 1 of the important conversing factors at Friday’s assembly of state and territory leaders, who agreed to introduce a countrywide Domestic Violence Get plan, which Federal Minister for Women Michaelia Funds mentioned ought to be released in the first fifty percent of 2016. As COAG leaders satisfied and agreed to a national summit on avoiding violence towards females, a string of seventy eight Xmas cards were hung outside Parliament Property to symbolise domestic violence fatalities. But Canberra women’s refuges have known as on the COAG leaders to do a lot more to overcome domestic violence, expressing a lot of areas of the program to help women are not speaking successfully. Toora Women Inc. gives professional providers for Canberra ladies who have skilled domestic violence, homelessness or drug and alcohol concerns. Toora can accommodate up to 23 females in thirteen household qualities across Canberra, although also offering outreach to a more 34 ladies to help them maintain non-public or community tenancies. Women are dying… They stay in abusive interactions or rest in their automobiles when they are unable to access refuges. In 2014, Toora presented emergency lodging to 399 women with far more than 50 % escaping domestic violence. “We are always at capability and we are functioning on the bone [economically],” executive director Susan Clarke-Lindfield explained. Ms Lindfield mentioned Toora had missing 36 for each cent of its funding for its homelessness and domestic violence companies within the past three years with the drop in funding underneath the Nationwide Reasonably priced Housing Arrangement (NAHA). “This means we went from $ one,476,861 to $ 946,681 — equalling a decline of $ 530,180,” she explained. “Our other national partnerships funding from the Commonwealth Govt hasn’t dropped, but you will find no ensure it will keep on earlier June 2017. Ms Lindfield has labored in women’s companies for three many years, but said refuges were now dealing with the “worst funding scenario [she has] at any time skilled”. “Girls are dying now, seventy eight girls have died so significantly this year,” Ms Lindfield explained. “It is astonishing in a country the dimensions of Australia to have a statistic like that. “Women are not acquiring the assistance they need to have. “They stay in abusive relationships or sleep in their automobiles when they cannot obtain refuges. 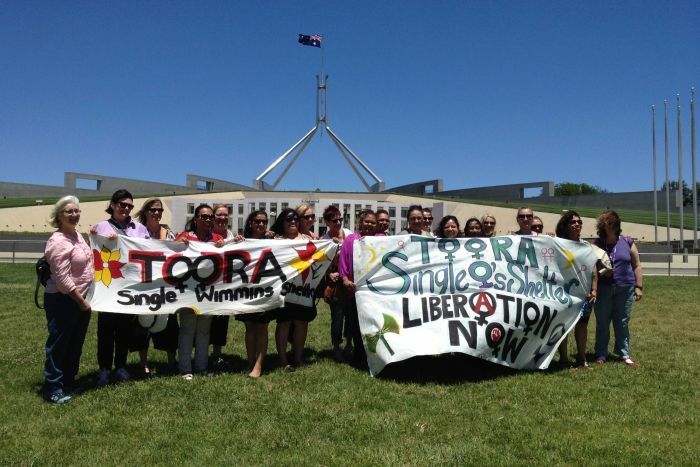 Practically 50 percent of all Toora’s customers who have seasoned domestic violence are from migrant or refugee backgrounds and have no or little English language, no visa position and no Medicare. “This has almost doubled from the two a long time earlier,” Ms Lindfield stated. “There is certainly also been a enhance in the number of more mature migrant women accessing our support, including a 72-calendar year-old customer just lately. In addition to these mounting expenses, Ms Lindfield explained Toora was facing a further $ 23,000 invoice for translation services this year. “The Govt de-funded interpreter providers and day-to-day discussions need interpreters with the value about $ 160 for each hour,” she said. Ms Lindfield mentioned the situation was additional complex for migrant and refugee ladies due to the fact there was no distinct exit pathway from refuges like Toora. Beryl Girls Inc. commenced in 1975 as Canberra’s initial women’s refuge for females and children. In 2014, Beryl Women Inc. provided unexpected emergency lodging to 100 females and youngsters, with young children comprising 66 for every cent of all clientele. Supervisor Robyn Martin mentioned ongoing jurisdictional troubles had been escalating the expense to underneath funded frontline companies. “Practically 20 per cent of our customers are not from the ACT,” Ms Martin stated. “A great deal of our customers occur from Queanbeyan, other elements of New South Wales, Victoria, Queensland, South Australia, Western Australia and even the Northern Territory. 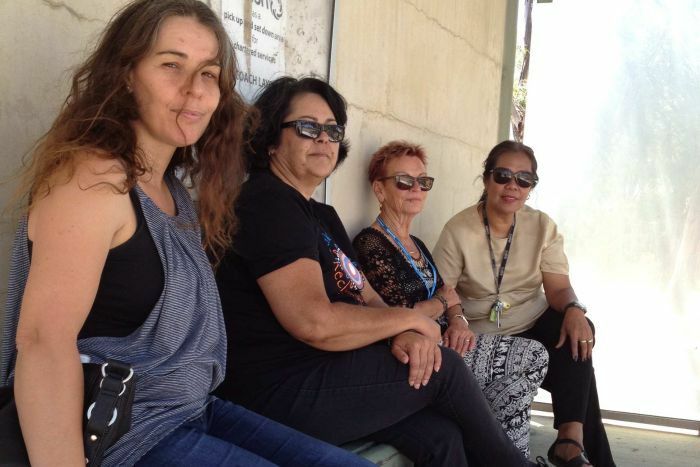 “This is typically overlooked by plan makers, but these ladies are unable to very easily access ACT victims of crime assistance and counselling, ACT general public housing or ACT school enrolment. Ms Martin explained customers generally stayed at Beryl Women’s Refuges for about 9 months, but the combination of jurisdiction and migrant troubles meant some family members had been caught in limbo and finished up keeping for more than a calendar year. “Rather of offering crisis beds we are keeping full for for a longer time,” she said. “Different locations of the program are not speaking. COAG leaders want to search at jurisdiction issues which can generate systemic problems for girls. A string of 78 Xmas cards was hung on the lawns of Parliament Home these days — a single card for every Australian female who will not spend this Xmas with cherished ones as the result of domestic violence. 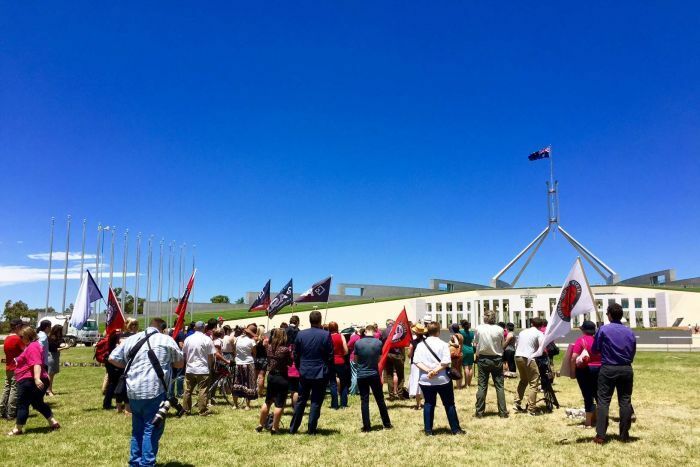 The symbolic gesture was element of a rally calling for better Government action to curb domestic violence. At the rally, attended by about a hundred men and women, organisers named on the Federal Govt to boost long-expression funding for frontline disaster solutions, transitional housing and specialist lawful companies for ladies. 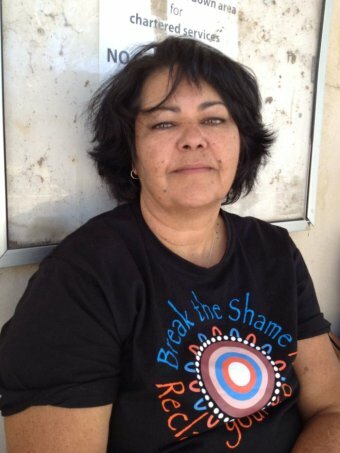 YWCA government director Frances Crimmins explained her organisation was also contacting for better guidance for Aboriginal and Torres Strait Islander females, who are forty five moments much more most likely to knowledge violence than non-indigenous females. “Violence towards Aboriginal and Torres Strait Islander females is not an Indigenous difficulty, but an Australian issue,” she mentioned. Canberra mom-of-three Tara Costigan was one particular of the 78 Australian females killed this 12 months as a end result of domestic violence, whose names were study out at the rally. Sabah al Mdwali, 28, of Gordon, was an additional. “We mourn that we as a modern society did not do much more to stop this violence and to preserve their lives,” Ms Crimmins stated. Labor MP Andrew Lee, who attended the rally, thanked Australian of Year Rosie Batty, whose youthful son Luke Batty died as a end result of family members violence, for her tireless work to draw consideration to the concern. He stated Federal Parliament was now conversing about family violence for the initial time in a way in which it should to be talked about. “That has not occurred simply because … politicians stepped up and determined it mattered,” he mentioned. “It’s transpired simply because of an incredible community campaign. The Kid’s Legal rights Commissioner is calling for a countrywide concentrate on the demands of children impacted by domestic violence, with new information demonstrating one in 12 individuals have seasoned physical abuse by a family members member as a youngster. The Kid’s Rights Report becoming released today identified one particular in every single 28 folks had also seasoned sexual abuse as a youngster, while a more 23 per cent of children have witnessed violence from their mom. “You can think about an typical class of youngsters, that is at least four or 5 little ones in each class that have both witnessed or experienced violence as direct victims,” Commissioner Megan Mitchell said. She stated too frequently kids who dwell in violent homes are the silent, neglected and invisible victims. “Men and women would be shocked at the figures about how numerous victims of bodily and sexual violence there are of kids,” she mentioned. A single in each and every twelve individuals has been physically abused by a family members member as a little one. 1 in each and every 28 men and women has also knowledgeable sexual abuse as a little one. 23 per cent of kids have witnessed violence from their mom. Ms Mitchell mentioned household violence can have a devastating and lengthy long lasting effect. “We know that early exposure to family violence can have lifelong implications in phrases of actual physical and mental health, material abuse, work, potential to form healthful interactions,” she explained. “But we also know that loved ones violence can manifest alone negatively in child growth, and has been straight connected to a selection of temper and character problems, impaired cognitive operating and learning anti-social and aggressive conduct. “These are not the conditions for young children to prosper. Amongst the tips is a get in touch with for expecting women to be routinely requested by well being pros no matter whether they are going through domestic violence. “We know pregnancy is a time of heightened risk for violence and we truly need to be rising the surveillance and support during that time,” Ms Mitchell explained. Ms Mitchell mentioned household violence against youthful individuals is an issue that is not totally understood or effectively documented. She explained the children are often neglected by the system. “Youngsters sort of slide by means of the gaps and they are a bit missing.”They are not the target of the domestic violence program largely,” she stated. “They are inclined to get missing in loved ones courtroom proceedings, or they may have a reaction from the kid security method that, perversely, could eliminate them from the guarding parent. “And all of these methods battle to chat to every single other and intersect with every other in methods that are helpful for the security and wellbeing of the kid. CHENNAI: The Chennai airport, which was shut right after floodwaters entered its runway, will begin partial domestic operations from Sunday early morning, explained officers. With the power supply however to be restored fully, the functions would be constrained to working day time. Until normalcy is restored, terminal 3, not terminal 1, will be operated, stated a assertion from the Airports Authority of India. As there was no power to run the baggage amenities, passengers have been questioned to carry only minimal luggage, preferable only hand baggage. The statement added that registered baggage would be appropriate topic to particular airline’s discretion. Entire-fledged functions, which includes worldwide flight operations, are expected to get started by December 8, after the regulator DGCA completes its inspection and offers a go- in advance, explained sources. Resources in the airport said the runway was cleaned on Saturday, enabling a handful of of the stranded plane to be flown out to other metropolitan areas. A couple of relief plane, as well, have been ready to run from the airport since of this. Nonetheless, professional operations demand all services to be available, like baggage handling, which need energy, pointed out a senior formal. Similarly, virtually all the intercontinental flights work in the course of the late hours, creating it necessary to have lights and other amenities that are essential for landing and take-off. The loved ones legislation jurisdiction of the Federal Circuit Court of Australia is at breaking stage, according to the authorized occupation, fuelled by a surge in domestic violence reporting and the ice scourge gripping regional regions. Legal professionals in New South Wales say it is the failure of the Federal Federal government to substitute judges that is creating the strained method to implode in Wollongong, Sydney and Parramatta. The Federal Circuit Court has confirmed it is taking into consideration transferring judges that sit in Wollongong and Parramatta to Sydney. “This is not something the court docket wants to do but retirements in Sydney and Parramatta have remaining the courtroom with insufficient methods for an at any time-growing and far more intricate workload,” Chief Decide John Pascoe explained. A court spokeswoman stated the Family members Court docket and Circuit Court docket ended up also operating with $ 60 million significantly less federal funding than they ended up seven years back. 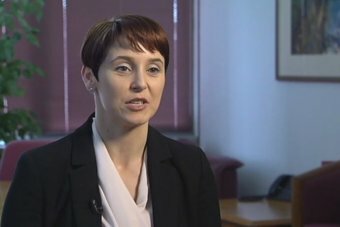 “As a outcome of a reduction in sources, the Federal Circuit Court of Australia has experienced important difficulty in working with its workload in Sydney, Parramatta and Wollongong more than the past twelve months and it now has to overview how it can ideal utilise the judicial sources it at present has,” she mentioned. The judge at the moment aiding litigants in the Illawarra area practically on a full-time basis are not able to stay based mostly in Wollongong until there are new appointments to the court to change the judges who have retired, according to the Federal Court docket Circuit spokeswoman. The statement confirms the go would most probably result in delays to listening to times for litigants. In Parramatta, there are four judges but two are at the moment not sitting down. Sydney has six judges at the moment sitting down in household legislation but two have stopped taking new circumstances pending their retirement in 2016 to permit them to clear their present backlogs. 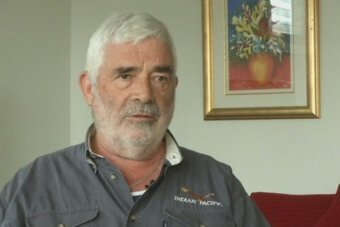 Yet another Sydney decide is due to retire following 12 months. Federal Attorney-Common George Brandis stated the Authorities had “launched laws to implement a more funds evaluate to provide efficiencies by means of the merging of company provider functions of the Federal Court docket of Australia, Loved ones Court of Australia and Federal Circuit Courtroom of Australia”. “This will preserve $ 9.four million over six a long time to 2020-21,” Mr Brandis explained. Mr Brandis announced in Oct that an added four Federal Circuit Courtroom judges have been to be appointed and explained he would “shortly announce a even more two appointments bringing the court up to its entire complement”. He did not say where individuals judges would sit or when. 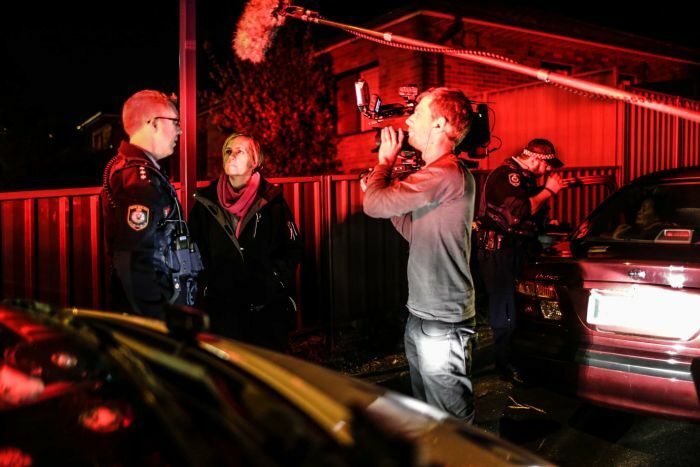 But so much it has taken five several years for a youthful mother in Wollongong to have her home and custody situation settled in the Federal Circuit Court. “It’s amazingly annoying, you come to feel your lifestyle is on keep until you can get it solved. There is certainly absolutely nothing you can do, you’re at the mercy of the courts,” mentioned the female, who are not able to be named for lawful factors. She additional she experienced taken days off work for her court day. “You wait around and you demonstrate up and it truly is, ‘I’m sorry we cannot see you today, we can not suit you in’, and it is not the following day or the subsequent week, it really is months absent,” she stated. There are at the moment much more than 500 excellent family members law circumstances in Wollongong, which is the premier one decide registry in Australia. The large delays imply mothers and fathers and children are now ready to beyond 2017 for divorce, residence and custody courtroom listening to dates. Family members regulation solicitor Hayley Williams stated the program was in gridlock and no longer working. “I am getting told we have obtained dates to be advised at the instant,” Ms Williams explained. “I have received consumers all the way down the south coast, in the southern highlands. A recently retired Federal Court docket Circuit decide, Giles Coakes, has named on the Federal Govt to make well timed appointments. “So that these delays do not carry on, so that households in crisis never have to experience unreasonable and lengthy delays, specifically in Wollongong and Parramatta,” Mr Coakes said. Mr Coakes explained succession planning had been “not great at all, it truly is no secret judges have to retire at 70,” he told the ABC. Fifty several years soon after its London premiere, Harold Pinter’s perform proceeds to puzzle, astonish and delight. Much from treating it as a revered theatrical specimen preserved in aspic, Jamie Lloyd’s superb revival provides a clean method to the engage in with out in any way violating the rhythms of Pinter’s textual content. Lloyd’s daring idea is to give us lightning glimpses of the fraught internal life of Pinter’s characters. It stays the tale of a warring north London household, whose nightly battles are disrupted by the arrival of a extended-misplaced son, Teddy, and his wife, Ruth. Positioning the motion inside the geometric frames of Soutra Gilmour’s spartan set, Lloyd consistently reminds us that Pinter’s figures have a life beyond the terms they speak. John Simm’s trim, trim Lenny, the family pimp, is at 1 level noticed trying to bodily strangle a recalcitrant clock. Remaining alone, Gary Kemp’s tensely apprehensive Teddy stifles his anxiety by thrusting his fist in his mouth. Gemma Chan, popular for actively playing a domestic robot in TV’s Human beings, exhibits the coolly inscrutable Ruth burying her head in her fingers the next she leaves the property. These startling photos of frustration and despair by no means, even so, obscure Pinter’s stage that this is a loved ones for whom each and every trade is element of an ongoing domestic campaign, and the place the past is employed as a weapon. You see this in the opening exchanges amongst Ron Cook’s brilliantly ebullient Max, and Keith Allen as his chauffeur brother Sam. The tendency is generally to contrast Max’s rampaging masculinity with Sam’s neutered prissiness. But right here it is a contest among two equals, with Sam deftly using his understanding of Max’s late wife, Jessie, as a verbal dagger to wound his sibling. Cook captures wonderfully the instability guiding Max’s bombast: rejoicing in the family’s surprising reunion, he out of the blue goes brick-red with bile, like a north London Lear. The big question that hangs above the perform is why Ruth deserts her partner to settle with her rackety in-laws. The choice, even so surprising, in this version would seem psychologically plausible: Chan’s Ruth, behind her serene exterior, is obviously a woman in disaster. What Chan shows, with wonderful skill, is Ruth thawing underneath the influence of her new household. She finds a needy virility in her boxer brother-in-regulation (John Macmillan), commences to mimic Lenny’s Cockney patter, and defiantly slams down a cup when Teddy talks of returning home to “a quite stimulating environment”. The closing picture of Pinter’s enjoy remains open to endless choices, but Chan indicates Ruth is a female who has rediscovered herself fairly than 1 who is surrendering to male fantasies. This is one of the motives why The Homecoming retains its hold more than our imaginations. It can be witnessed as a Freudian engage in about sons loaded with subconscious Oedipal desires. It can equally be witnessed as an ethological review of a group of human animals battling over territory. But, in the conclude, it is about a female who makes a life-shifting selection to swap a single household for one more. Specifically because Pinter in no way moralises about or resolves the situation, it is a play that, when impeccably acted as below, carries on to haunt our goals. • At Trafalgar Studios, London, right up until 13 February. Get tickets from theguardianboxoffice.com.